Constantly improving to save you time & increase your effectiveness. We constantly improve so you don't have to. From agent portals, innovative home search tools, & marketing our goal is to make the home buying and selling experience as smooth as possible. One location for all of your needs. Simple yet effective. With full cloud drive integration, collaborative survey polls, live video chat, project groups, and machine learning systems - our backend collaboration tools are unparalleled and make you more efficient than you ever imagined. A curated, Pinterest style home search tool for you and your clients. Our search technology allows you to coordinate with your clients seamlessly via instant message, provide home organization frameworks, and create status updates all in real time. Seamlessly collaborate with your client, provide feedback on listings, & listen to what your clients have to say. You'll never have a communication breakdown again. Our CRM will help you coordinate with your clients via comprehensive data insights, Pinterest style board creation, and automatic status updates. 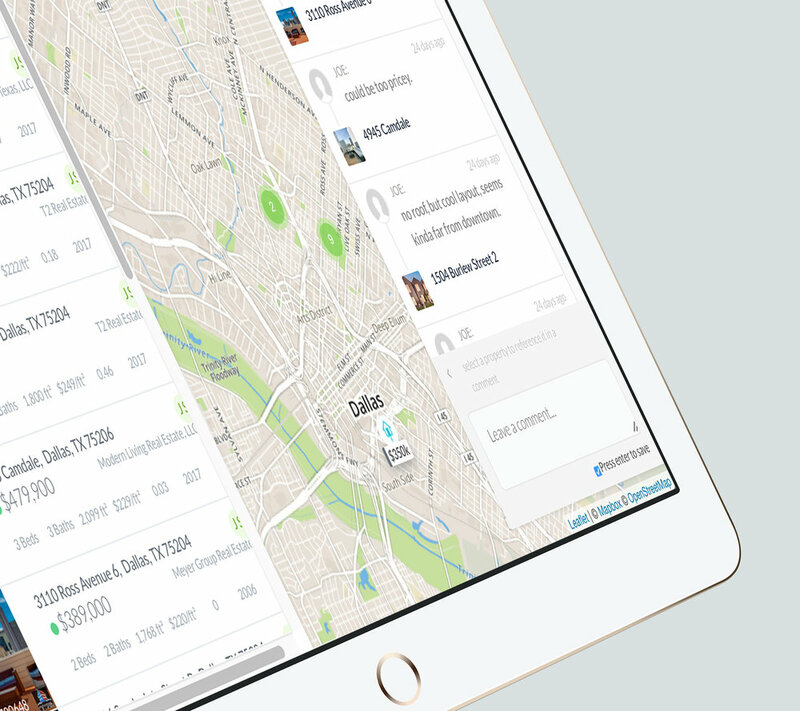 Your same Home Search...just pocket sized.